Jose Lopez began the 2017 season with the Daytona Tortugas. Things went both well, and not well in his season debut. The right hander allowed one earned run over 5.1 innings. That’s the good. The bad, however, was he was charged with four unearned runs as the Tortugas lost. Things went much better for Lopez in his other three starts during April. 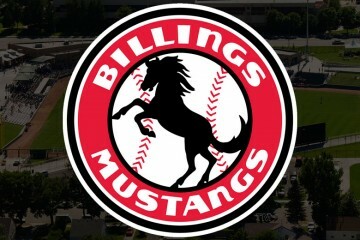 He allowed just four earned in 16.2 innings with two walks and 15 strikeouts. For the month he posted a 2.05 ERA in 22.0 innings with those two walks and 22 total strikeouts. 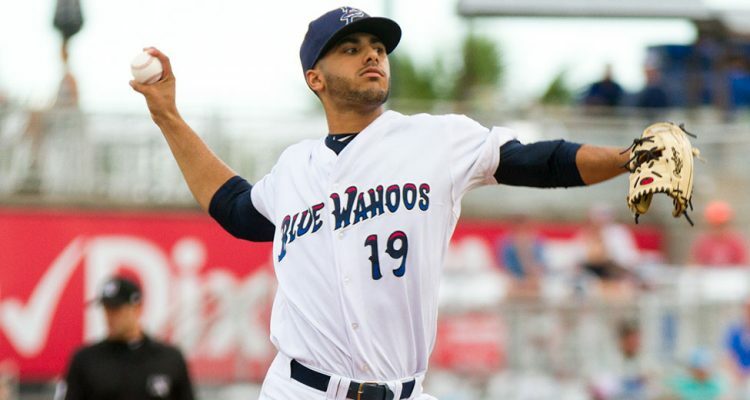 The success for Jose Lopez carried over into May as he was charged with an unearned run in 6.0 innings with a walk and five strikeouts to open the month. The next two starts, however, didn’t go nearly as well. Against Florida and Dunedin he allowed seven runs in 11.1 combined innings with seven walks. Lopez rebounded against the Yankees, allowing just one run in 6.1 innings on the 20th. On the 26th he faced the Yankees for a second straight time and allowed three runs in 5.0 innings. That would be his final start in the Florida State League. 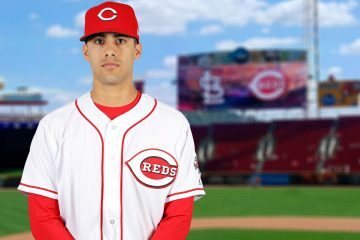 The Reds promoted the former Seton Hall pitcher to Double-A Pensacola. He would debut on the 31st for the Blue Wahoos, but would struggle. He allowed four runs in 4.2 innings with six walks and five strikeouts. It capped off the worst month of his season where he walked 18 batters with 31 strikeouts in 33.1 innings. That also came with a 4.05 ERA. June began with one earned run over 6.0 innings for Jose Lopez, but three more unearned runs were charged to his record. The next two outings came in relief for Lopez. The first was to follow Brandon Finnegan on rehab and the next was following Tyler Mahle in a short start so he could play in the Southern League All-Star game. Between those two outings he allowed no earned runs in 7.0 innings. After the All-Star break he returned to the mound on June 25th and struggled, allowing four earned and walked four batters in 5.0 innings. For the month he threw just 18.0 innings, but had a 2.50 ERA with 20 strikeouts. The first start of July was a real struggle. Jose Lopez allowed six earned with five walks in 4.1 innings pitched. The right hander rebounded in a big way. On the 6th he would throw 8.0 shutout innings with just three hits and a walk allowed. The next time out was almost as good. Lopez allowed one run in 7.0 innings and had 11 strikeouts with just one walk. The impressive stretch continued as he allowed four runs over his final three starts of the month in 19.0 innings. Over the course of 38.1 innings in July he posted a 2.58 ERA with 11 walks and 36 strikeouts. It was more of the same in August. In his first two starts of the month Jose Lopez fired 13.0 shutout innings with two walks and 11 strikeouts. In the final four starts of the year before the playoffs began he would allow a total of six runs in 22.1 innings with eight walks and 23 strikeouts. That final stretch of the regular season was good for a 1.53 ERA with just one home run allowed, 10 walks and 34 strikeouts in 35.1 innings. He made one playoff start and dominated. Jacksonville scored just one run over 8.0 innings with just four base runners. Lopez struck out nine. Fastball | Some nights his fastball will work in the low 90’s from a velocity standpoint. Other nights he will be in the 92-94 range and touching 95. The pitch has good movement, showing nice armside running action to it. Slider | This is an above-average offering that he goes to as his out pitch. Curveball | A second breaking ball that Jose Lopez throws. It’s an average offering. Change Up | This is an average offering that shows some sink and armside running action. Nothing immediately jumps out at you from the stuff standpoint for Jose Lopez. He’s solid to a little better across the board in terms of raw stuff. But his stuff can play up from those raw grades because he hides the baseball well in his delivery. One scout I spoke with referred to his fastball as an “invisi-ball”. What also helps his stuff play up on some days is his control. There were a few times during the year in which he struggled to throw strikes, but for the large majority of the season and his career, he’s capable of pounding the strikezone. While the upside isn’t as high as some other prospects in the system, his floor is much higher than most. Did the Reds chances just improve to land Shohei Ohtani? WOW, that would be really good. There’s a lot to like with Lopez. A legit swing and miss pitch, good fastball control, two other pitches that are more than show me pitches, he’s been fairly durable since his TJS in college and has built his innings to where he’ll be ready for a near full MLB season next year. 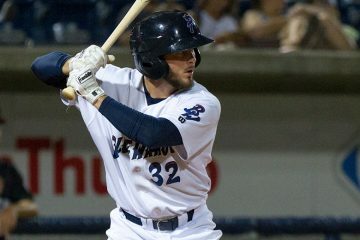 He has enough stuff to take notice, and his performance is as good as any pitcher in the system’s not named Tyler Mahle. I remember reading in his draft coverage stuff that he had been up to as high as 97 in the past, so maybe if he ends up sliding to the bullpen he’s more 94-95 and touching that high again to go with that slider. If the more touted guys keep scuffling though, he may get his shot as soon as this season in the rotation. Lopez has been right at 9 K/9 at each stop in the minors so far. That is impressive. He doesn’t walk many and give up many HR’s. Another good trait. However, with his promotion to AA, while very good, did show an increase in BB and HR allowed. If he can shave a bit off those two stats he had last season at AA this coming year, he is poised to make a name. He is 24, so he could be accelerated and pushed higher with good performances early. He fits right in that age group with the others. I would imagine he starts out at AA even with a good spring, but that might not be the case. Even though the rotation seems to be crowded at AAA, he might force the Reds hand and they start him at AAA. Other teams certainly will take note also. If not this winter, by the end of spring training, I can envision a couple of the younger or not so younger pitchers getting traded. A very good spring from Lopez, and all of a sudden 1 or 2 of Stephenson, Reed, Garrett, Davis and Stephens become expendable, if they already are not. I could see Jackson Stephens sliding into a long relief role be it in AAA or on the Reds and Lopez sliding into a AAA rotation spot. He would benefit from being able to throw max fastballs for 2 innings and that would help his curve play up some as well. And that’s if the Reds don’t pick up any Deck McGuire’s, Asher Wojciechowski’s, or Domingo Tapia’s of the world. Or even a backend MLB guy like Scott Feldman. Rookie Davis will be rehabbing into next season still. Now, if Stephens get shifted to the bullpen, then a spot opens up. If any of Homer, Disco, or Finnegan have a set back, a spot opens up. If god forbid any new injuries happen a spot opens up. If we don’t sign another starting pitcher at the AAA or MLB level, then Lopez has a very good shot of starting 2018 in AAA I think. If we do start signing one or more starting arms for AAA or MLB, then the dominos have to start falling for that move to be likely. Right now, his odds are good. We’ll see how those odds shift over the next 3-4 months. I like Jackson Stephens too. I like to root for the unheralded ones. But at some point the Reds will have to lay potential to the side and start the ones that have command and control of their pitches. When will the Reds reach a saturation point in starting pitchers?? That point is coming up soon if maybe they haven’t already. Maybe Jon Moscot also returns from injury and competes for a slot in the upper minors, too. I like the Mahle comparison. Mahle has a better BB rate and a great ability to induce weak contact. I am not sure how good Lopez is at inducing weak contact but I am hoping he is a #3 or #4. It is time for Stephenson, Romano, Garrett and Reed to either perform or be passed by Lopez. I’ll take Lopez and Mahle control type pitchers over stuff guys like Stepenson and Reed anytime. Very often pitchers that have above average stuff and below average control have to lessen their stuff in an attempt to gain control which leads to them being more hittable.